This exhibition presents the American artist Bill Beckley's seminal work 'Silent Ping-Pong' 1971 for the first time in the UK. Ping-Pong Dialogues points to relationships between artwork, documentation, context and reception to explore the shift in definitions of sculpture within the early 1970's artistic practice. Debates and discussion from magazine pages and documentation of other works made by Beckley from the period will form an intrinsic part of the display. 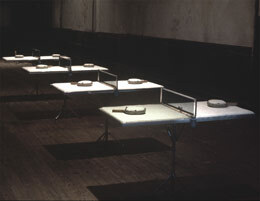 'Silent Ping-Pong' was in Beckley's first solo show at 112 Greene Street, New York in 1972, formerly an industrial building, where artists organized experimental shows and events. Many made notable contributions to developments in practice - a few examples - Louise Bourgeois, Vito Acconci, Dennis Oppenheim and Chris Burden. 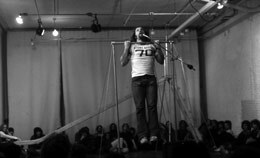 Beckley's show, on April 16th 1972 combined installation and performance. The performance was at Holly Solomon's loft, another experimental space, 98 Greene Street, where 'Song for a Chin up' and 'Song for a Slide' were performed. The songs metaphorised the actions performed by students from the Juilliard School of Music. Documentation of these events will be part of the exhibition. 112 Greene Street's first show had work by Bill Beckley, Gordon Matta Clark, Rafael Ferrer, Barry Le Va, Jeffrey Lew and Alan Saret. It was documented in Avalanche and reviewed by Peter Scheljdahl in the New York Times. The dealer John Gibson took Silent Ping-Pong, to the Basel Art Fair where it was spotted by Benjamin Buchloh, then a gallery assistant, he arranged its inclusion in the inaugural show of Rudolf Zwirner Gallery. 'Silent Ping-Pong' was in "Behind the Facts: Interfunktionen 1968-1974" curated by Gloria Maure at Miro Fundaci, Barcelona in 2004, the show toured to Porto and Kassel where Fritz Heubach, founding editor of Interfunktionen and Beckley were not allowed to play on the tables, due to gallery restrictions. We hope to re-instigate the match. 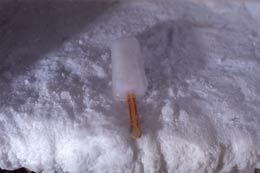 The exhibition will present 'Hopscotch', and 'Short Stories for Popsicles' and will encourage pinging, hopping and sucking as tangible routes to aesthetic process and experience. Bill Beckley is a major international artist. He has worked with many dealers including Yvon Lambert, Nigel Greenwood and Hans Mayer - currently producing a monograph. Beckley makes serious contributions to discussions in aesthetic theory and he edited The Sticky Sublime, 2001 and Uncontrollable Beauty, 1998. This show grows from continuing conversations arising from a series of interviews contingent on shared research interests conducted by Lisa Le Feuvre and Jo Melvin in New York in 2005. 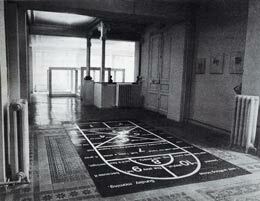 The exhibition Avalanche 1970 - 1976, curated by Lisa Le Feuvre, took place at CHELSEA Space in June/July 2005. Ping-Pong Dialogues alludes to interaction with the exhibition 'Tales from Studio International Archive' also curated by Jo Melvin and on display at Tate Britain - when the open space between CHELSEA space and Tate Britain becomes a metaphorical echo of the site of debates across the Atlantic and into Europe between Studio International and magazines such as Art Forum, Avalanche and Interfunktionen. Bill Beckley will give a talk at the gallery on Wednesday 14th May at 3.00pm. The exhibition is accompanied by a publication including essays by Lisa Le Feuvre & Jo Melvin - who will be 'in conversation' at the gallery on Saturday 14th June at 3.00pm.